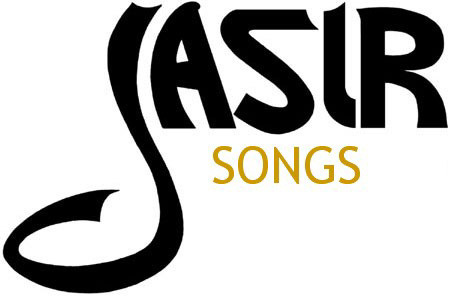 We also invite you to become a fan of the Jasir brand at our Reverb Nation page and hear the latest complete mixes of new songs for free. Jasir Productions Studio is currently equipped with a MacBook Pro, Macintosh G4, MOTU 896 interface, a wide array of microphones, a Behringer Powerplay Pro-XL monitoring network and Logic Pro, the state-of-the-art MIDI and Digital Audio recording software by EMAGIC. Along with a host of special features, Logic includes one of the best audio sample editors. Recent editions of MOTU Digital Performer and Opcode Vision are also available, and transfers of song data between programs can be efficiently done. Audio restoration and dialogue replacement for film and video soundtracks has been one of our specialized areas of work in recent years. The studio also incorporates Adobe Photoshop imaging software, iMovie2 and Final Cut Express HD for video editing. Our services have been used for the production of hundreds of live recordings ranging from solo vocalists to band concerts and a student opera production. In the studio, recordings have been produced for a broad spectrum of projects in styles ranging from gospel quartets, 20th Century chamber music, rap, R&B, reggae, rock, country, jazz and opera, as well as music and sound design for theatre and film productions. These works include a demonstration of drum-set, percussion and vocal tracks recorded in the studio's new booth. Steve Harris - "Somewhere Between" This is an audio collage of six songs from Steve's eleven song CD, recently released on his Distant Lightning label. We tracked and mixed all of the songs at the Jasir Studio, including Steve's guitars and vocals, tracks by Barry Campbell (bass), Ben Flint (keyboards), Tommy Burroughs (violin) and yours truly on drums and percussion. Produced by Steve Harris. Final mastering by Bob Katz at Digital Domain (Orlando, FL). Joby recorded in the Jasir studio with jokes from his routine. I mixed in audience reactions from a DVD of his live performance. This version is a basic layer on which the DJ's voice-over was added later at the radio station. Produced by Melissa Tichenor. Music for scenes, either inspired by the final cut or adapted from existing works. Abigail Sleepless (excerpt), a very spacious piece from the General Sessions soundtrack, used as the film's main title. Other moments from this piece are used in soundtrack remixes of the Stephen J. Cannell TV series "21 Jump Street". A collection of sound effects which are often combined to create background ambience and accent for film soundtracks or stage plays. New sounds are being added to this collection often. Storm - Created for a dramatic moment in the highly imaginative play by Mark Dunn, Helen's Most Favorite Day. It is a combination of collected sounds, a few effects from the SoundDogs library and original music. Here's two created for the Theatre Memphis production, An Evening with David Ives. Paris Ambience (excerpt) - I recorded the horse and buggy sounds during a downtown carriage ride, street ambience while strolling down Beale Street, and dubbed the conversation and concertina in the studio. This is a suite of tracks in various styles which are useful for commercial background music, but may also work well in certain types of scenes. Samba 1 (excerpt), an uptempo Latin band style track. Ah! Capella, a 60 second version of the piece also known as Captown in a recent film soundtrack. Our Love Will Grow (excerpt), the instrumental version of a Latin-style ballad (unmastered). Special Note: The recordings which are in mp3 format have undergone data compression to limit their file size for faster download over the internet. Therefore mp3 recordings are not at full bandwidth and have suffered a slight degradation in sound quality from the original mixes. For professional use, as in a recording for commercial release or broadcast, a 96Khz, 24-bit mix is provided to our clients. This provides more depth and dynamic range as well as a pure and natural frequency response. For more information, please e-mail Jeff. Or follow this link for an outline of services.